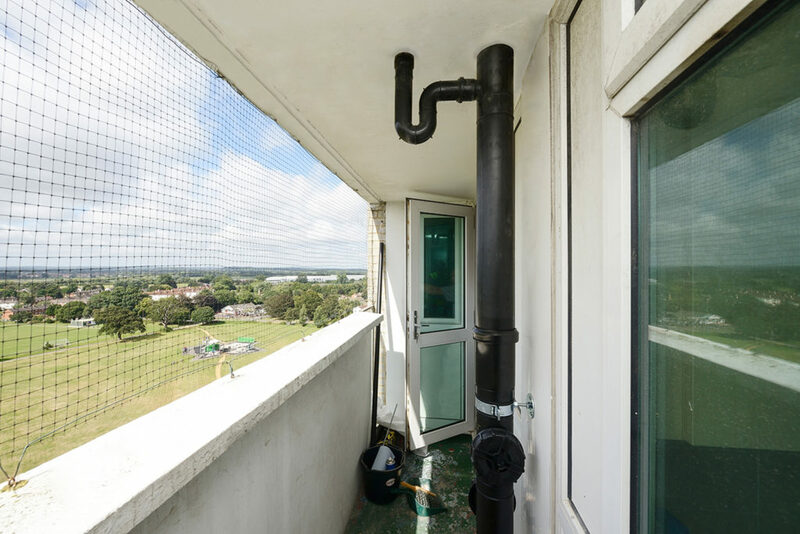 Polypipe‘s Chris Moyes discusses the complexities of managing drainage systems in social housing and the benefits of specifying water management solutions built using offsite fabrication. The Government’s multibillion pound plan to transform the UK social housing sector promises to deliver 23,000 new affordable homes in the coming years. The £1.67bn investment pledge confirmed by Housing and Communities Secretary James Brokenshire in June has been welcomed across the board, with at least 12,500 ‘new generation’ social homes being built in affluent areas to support families struggling to pay rent. But this apparent social housing boom is certain to present new challenges across the supply chain, particularly where water management is concerned. Effective drainage systems are absolutely essential to a property’s long-term viability — and it should be a primary consideration during the design stage of any development. Vermin, outages and disease are just some of the issues commonly associated with insufficient solutions. 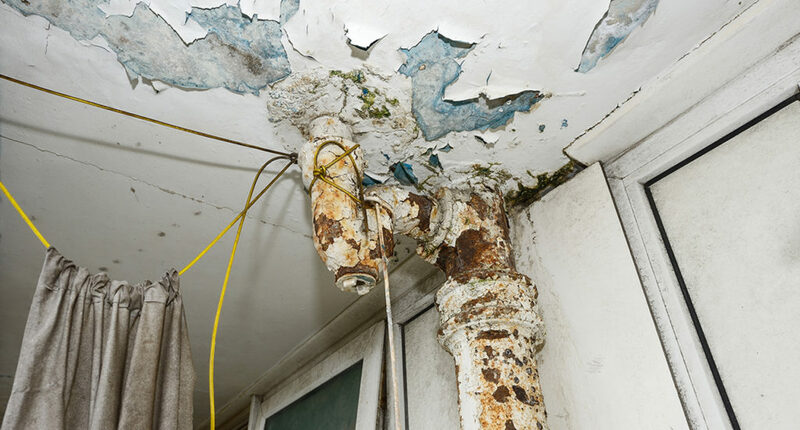 What’s more, whether replacements, retrofits or maintenance are needed, social housing providers must ensure they get value for money. One of the most cost-effective ways to replace water management systems in existing structures is to use offsite fabrication. For example, most reputable manufacturers can provide drainage stacks that are custom-designed, tested and built offsite. While this might seem a relatively insignificant concern in the grand scheme of a development, whether a new-build or upgrading an existing structure, there are a wealth of benefits for housing providers and tenants. Firstly, when retrofitting occupied homes, tenants are typically relocated while the work takes place. Aside from the inconvenience and disruption, the cost of alternative accommodation, particularly for multi-occupancy buildings such as high-rise buildings, can be astronomical. 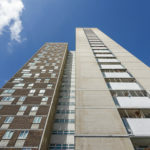 However, a service known as live stack replacement enables tenants to stay in their homes while work is carried out, meaning less hassle and expense for housing providers. In addition, modular construction is also much more efficient. Stacks are delivered complete and ready to install, and only when they are needed, meaning installers can get to work quicker and more accurately than using traditional methods. Live stack replacement enables tenants to stay in their homes while work is carried out. 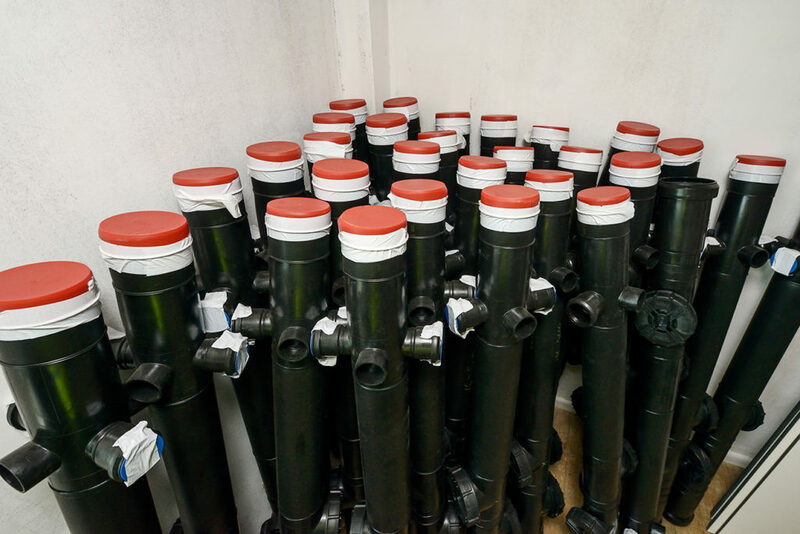 Whether a new-build installation or replacing an existing drainage system, pressure plays a vital role in implementing a successful water management system. Consistent pressure must be maintained. Excessive positive and negative air pressures can cause blown trap seals, siphoning or complete drainage failure. The traditional solution is to build a secondary ventilation stack, which allows additional airflow into the main system to counter pressure build-up. However, more modern methods of ventilation include the use of positive air pressure attenuator (P.A.P.A.) valves, which minimise problematic pressure through absorption and dissipation. An extra benefit is valves free up much-needed space and are easier to install. Also, water and waste can travel down a vertical pipe at up to 9.81m/s. This can cause serious issues when there is a change in direction or offset. As the water and waste hit the base of the offset, sudden changes in pressure places extreme strain on the system. As water moves vertically it typically travels around the pipe using one third of the pipe capacity, this is called annular flow. When the water moves to horizontal pipe runs, the pipe will normally run at two thirds full at a much slower velocity. This is all the more critical in high-rise properties, which typically have more appliances discharging into the system than in smaller buildings. The design, specification and installation of a system are key. Stacks are delivered complete and ready to install. This modular form of construction is also much more efficient. Managing water in social housing demands many different approaches to guarantee success. However, among the most important aspects in any development is early collaboration and communication with the supply chain. Most reputable companies will provide expert advice and support throughout the entire development process to ensure requirements are met without compromise, while providing the most appropriate and cost-effective solutions. Social housing looks set to dominate the political agenda for years to come, making it even more crucial that the right water management solutions are identified and specified at the design stage in order to futureproof the homes of tomorrow.